Bryce Gartland, MD, chief operating officer (COO) at Emory University Hospital, has been named chief executive officer (CEO) of the hospital. Current CEO Robert Bachman will step down from the position to become the executive director for expansion/renovation at Emory University Hospital. 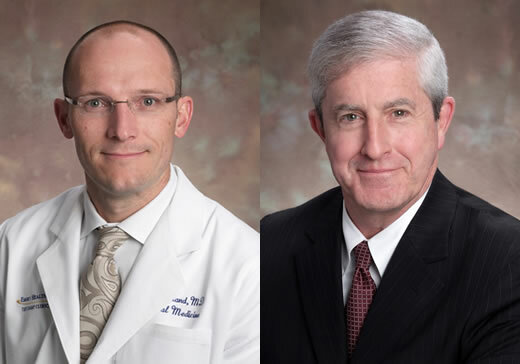 Bryce Gartland, MD, chief operating officer (COO) at Emory University Hospital, has been named chief executive officer (CEO) of the hospital, as current CEO Robert Bachman steps down to move into a new hospital role, effective August 14. Gartland will also serve as CEO for two other entities that fall under Emory University Hospital: Emory University Orthopaedics & Spine Hospital and Emory University Hospital at Wesley Woods. Gartland joined Emory as a physician in 2005 practicing in hospital medicine. He has held several leadership roles in his specialty area and in hospital operations. In 2012, Gartland assumed the position of COO at Emory University Hospital. Since then, he has played key roles in numerous accomplishments, including the hospital’s stellar University HealthSystem Consortium (UHC) rankings for quality and safety achievements, Magnet accreditation for nursing excellence and the successful treatment of four patients diagnosed with Ebola virus disease. In Bachman’s new role, he will serve as the executive director for expansion/renovation at Emory University Hospital. His responsibilities will include overseeing the completion of the new $400 million, nine-story hospital wing currently under construction on Clifton Road, as well as other renovations planned within the hospital. Bachman has spent his career at Emory serving in a number of leadership positions. Since 2000, Bachman has provided exceptional leadership and vision for Emory University Hospital, most recently as CEO. "Moving Bryce into the CEO role is a natural progression and a testament to the strength of our succession planning program," says Dane Peterson, Emory Healthcare Hospital Group President. "I have full confidence that Emory University Hospital will continue to excel with Bryce at the helm of an already strong leadership team. While we will miss Bob’s leadership skills, we know his talents will be instrumental as we continue to expand and grow at the hospital." Last year, Gartland was named one of Modern Healthcare's Up & Comers for 2014. The annual list showcases 12 health care professionals, ages 40 and under, who have shown leadership qualities and business acumen that stand out among their peers, colleagues and hospital administrators.